When sitting down at the end of the day it is better to stick with a tested favorite than try a new wine. Wine flavors vary wildly, not only from brand to brand, but also year to year. You don’t want to ruin what may be the one chance you get to relax for the day with a less than pleasant tasting wine. Save new wines for BBQ’s and parties. It may be tempting to stand up and drink your wine where you poured it, at the counter. Remember, this may be the single chance that you get to be comfy before you go to bed. If you have a partner that tosses, turns or snores then it may be your only chance to get comfy for the day! As a Mom, you will be all to aware of what happens if you leave anything remotely breakable laying around the house (hint: it breaks). Unfortunately wine glasses not only easily break, but also contain a liquid that is super efficient at staining anything it comes into contact with. 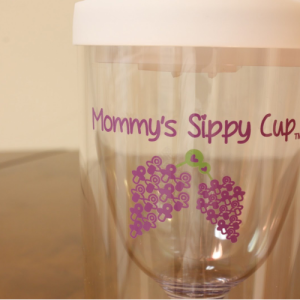 Mommy’s Sippy Cup allows you to enjoy that hard earned glass of wine at the end of the day without the worry. If a wine glass and a sippy cup had a baby, this would be the result. A spill free, unbreakable way to enjoy your wine? It almost sounds too good to be true. And for all your health conscious mamas out there, it’s BPA free. Wine is probably one of the hardest stains to remove from your carpet. If you are a mom, a wine lover, and don’t drink out of Mommy’s Sippy Cup then you are going to have to prepare yourself for the inevitable. Wine spills. Believe it or not, you can actually add white wine to spilled red wine to prevent it from staining. Simply pour white wine over the red and blot up with a thick towel. The white wine will help neutralize the red wine. Like with most stains, the sooner you remove them, the better. So study up on easy ways to remove wine stains and never be caught by surprise. Being a mother can be one of the most stressful and thankless jobs in the world. 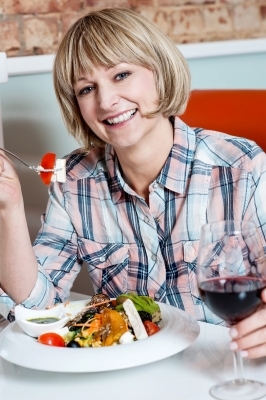 Nestling down with a glass of wine may be the one thing that you look forward to each day. This is fine, just watch out for warning signs that you are becoming addicted, such as introducing multiple wine sessions to your day. Remember, always drink responsibly.